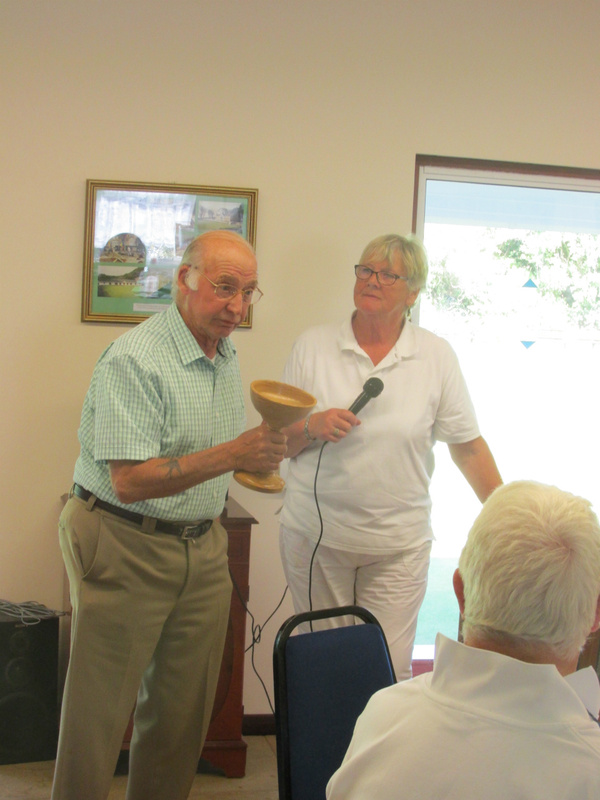 Bill Golding presenting "The Bill Golding Trophy" to the winning captain - Derek Venier. 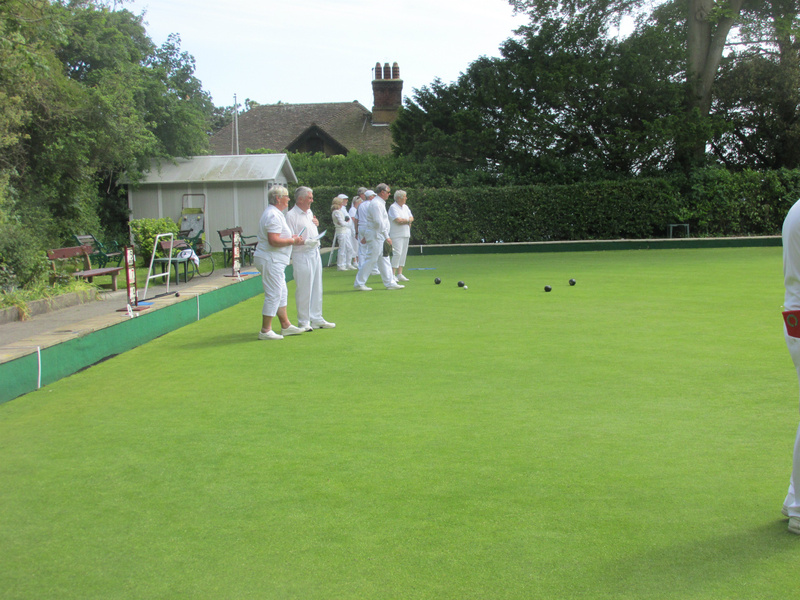 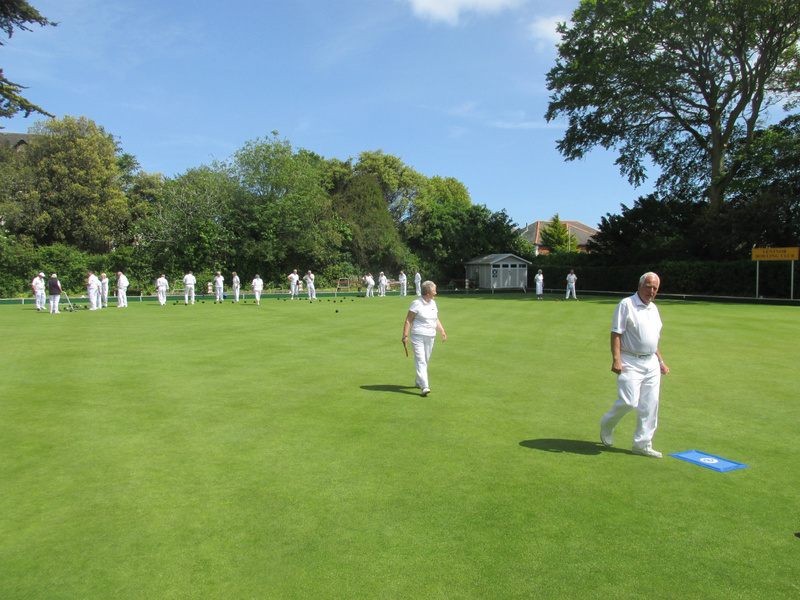 The annual LADIES v. GENTLEMEN Club competition was played last Sunday, on a glorious warm, sunny afternoon. 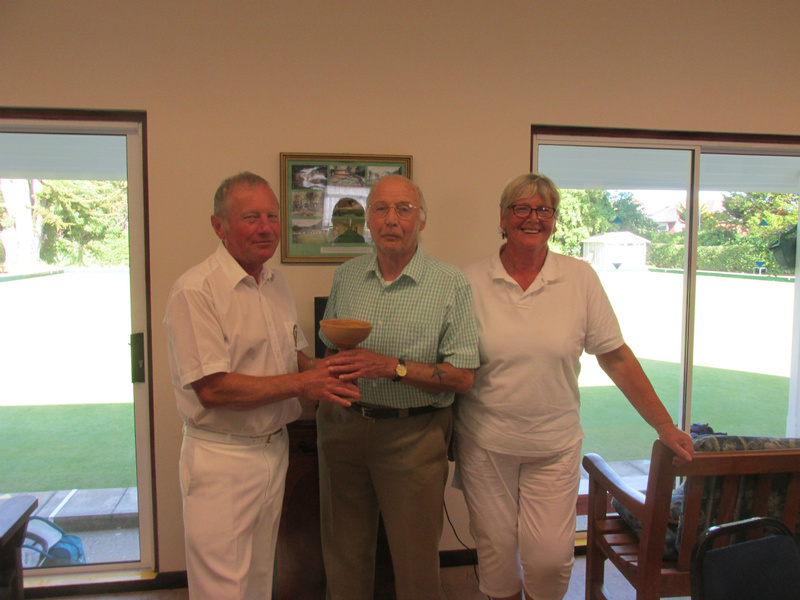 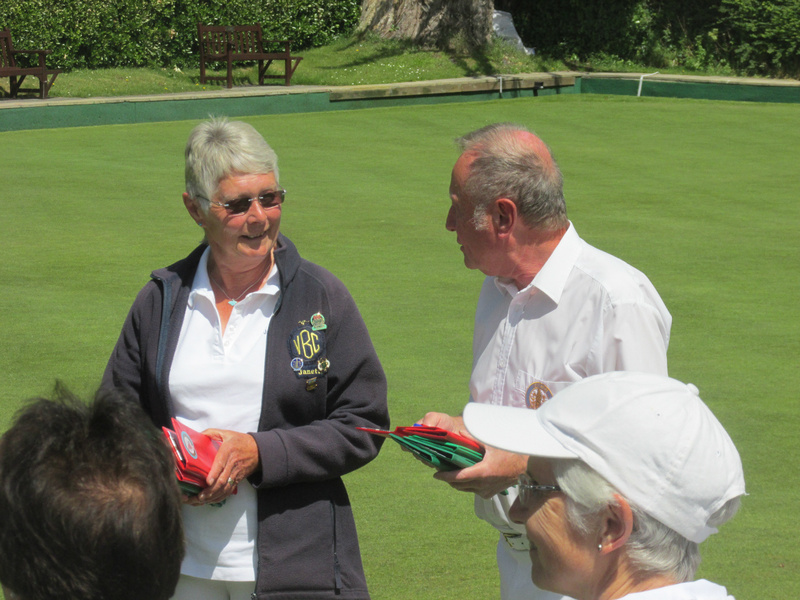 President Carol Venier welcomed all club members and the two captains, Janette Hornby and Derek Venier. 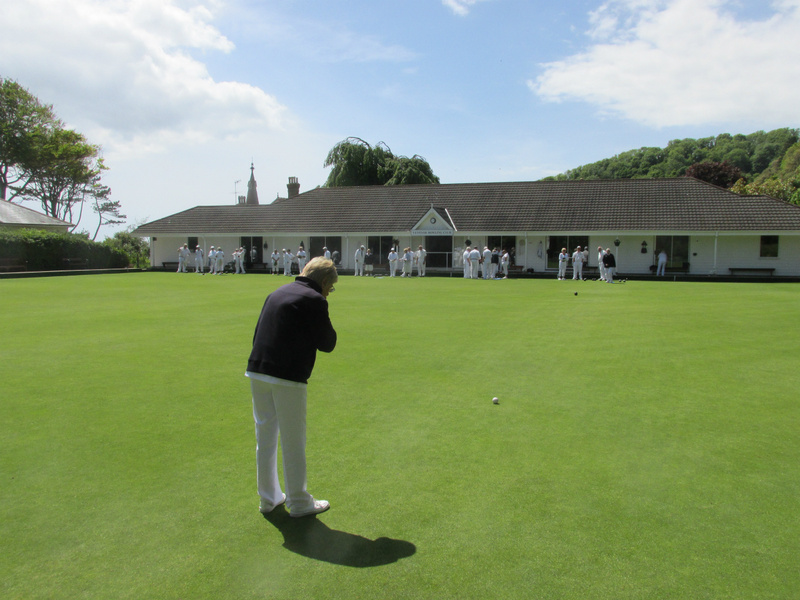 Last year’s close result was not repeated, however, with the men winning by a substantial shots margin (101-67). Proceeds from the entry fees for this event and the raffle takings – a sum of £200 - will go to the Earl Mountbatten Hospice. 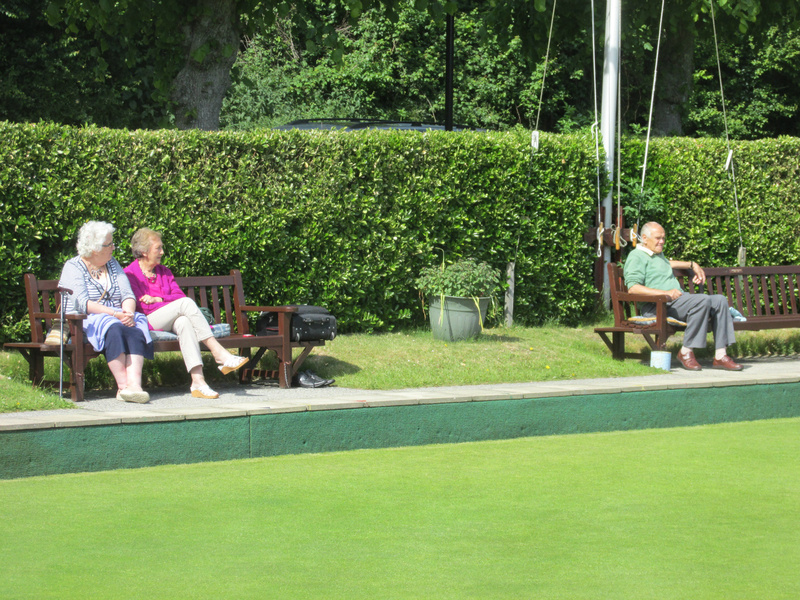 Many thanks to those who donated raffle prizes and brought cakes and snacks for the refreshments at the end. 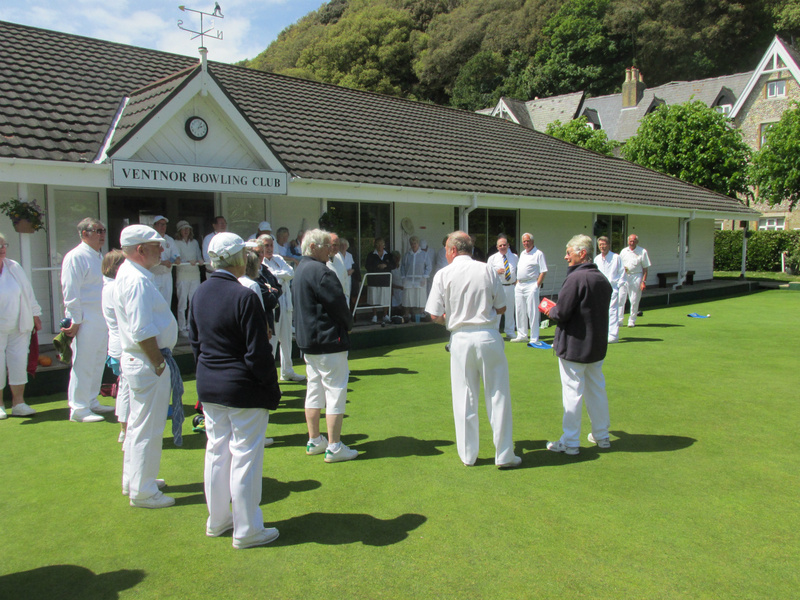 It was nice to see so many of our new members taking part. 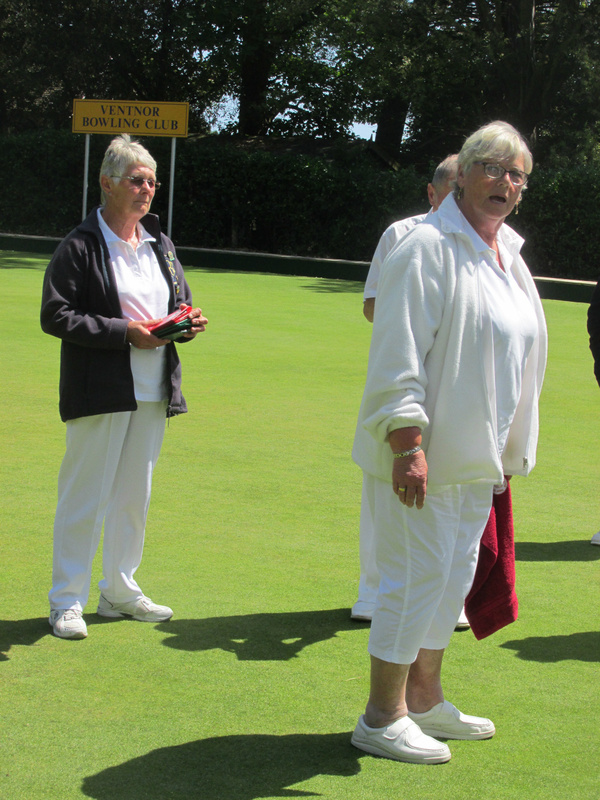 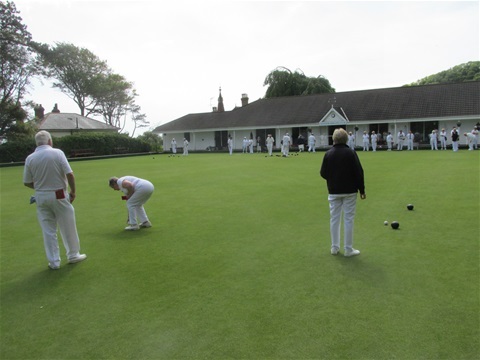 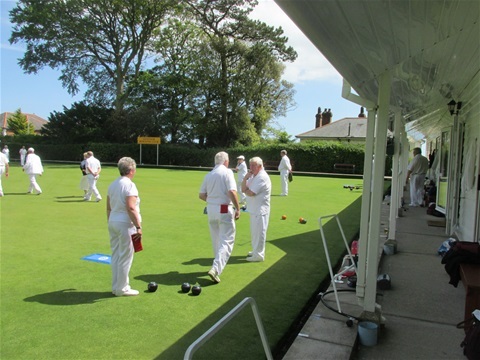 The winning rinks were: LADIES: Pam O’Grady, Janette Hornby, Vicky Stead & Sheila Arnott and MEN: Ian Chewter, John Arnott, Ivan White & David Hunt.